How often do we find ourselves in a discouraged mode? You’re called to be in a place, and you are there now. But now what ?! How easy is it stay afloat amidst all that you face every day? The spiritual warfare, people’s opinions, ideas, thoughts can be often more discouraging than encouraging. Maybe we face discouragement because we look for people approval than GOD approval? 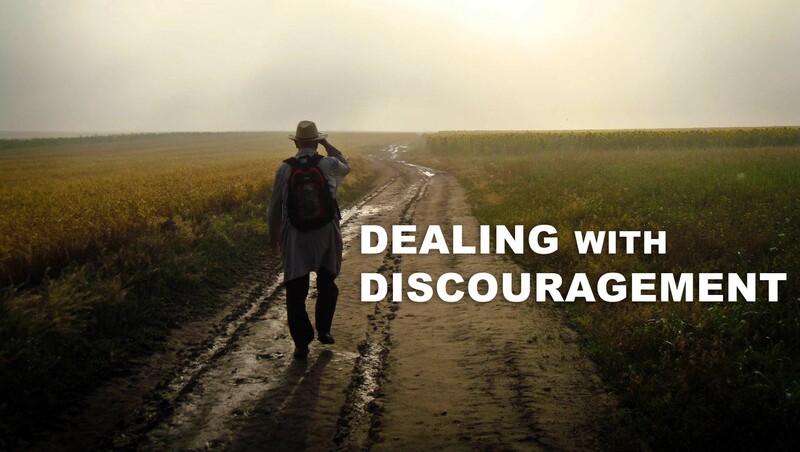 Question is, How do we deal with discouragement? I’m writing this as a blog to my friends and colleagues in ministry. We face more discouragement than encouragement. Every step seems like climbing a steep mountain and every step ahead feels like a bungee jump; you make a jump with a heavy heart and anxiety but also knowing you will be safe in the arms of God. It seems that Paul faced discouragement or something similar. Maybe the urge to even go forward was limited by the circumstances he was now stuck in. Now, that could be his discouraging situation. But what caught my attention was his ability to deal with discouragement. Paul didn’t see discouragement as a time to set up a tent or stay low but he saw discouragement as a rough/slippery road that needs to be crossed than stay and wonder what went wrong. When we reach a moment of discouragement we find it easy to stay there than to move on. Honestly, it feels nice to not do anything and blame everything on everyone else and do a lot of logical reasoning in your mind and be in that state of life for the next few days by then you would have lost/missed opportunities. But what we can learn from the life of Paul is, discouragement is inevitable. It will come our way but we have to cross the rough/slippery roads of discouragement than stay there. I don’t know if you are stuck in a season of discouragement. I am stuck in a season of discouragement but as I write this I realized that I need to focus on the ONE who leads me toward the goal and not on the things that pull me down. It’s time to shift my focus towards the one who called me by name, the one who ordained me, the one who sent me and the one who provides all that I need. It’s time to leave what happened and focus on what is going to happen. The future is glorious. That is how I choose to deal with discouragement. Let discouragement stay as your past and let tomorrow be a bright new day to accomplish God’s will.